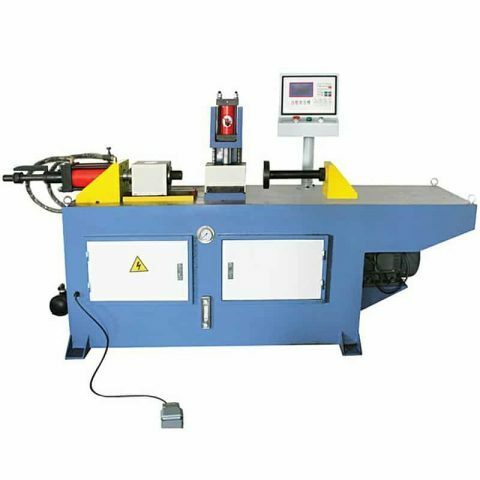 Multi Stations Tube End Forming Machine is equipped with 2 or 3 working stations, to complete the tube forming job in two stages. Multi station tube end former is more convenient than single station model, that do not need to replace molds for the different forming purpose. Single Station Tube End Forming Machine is a hydraulic driven machine, which can process tube with an outer diameter up to 100mm, one or two operating stations, molds are replaceable for different sizes of tubes.